Find Lithium Series Power Bank, Mobile Charger Power Bank, Fashinable Promotion Power Bank on Industry Directory, Reliable Manufacturer/Supplier/Factory from China. How to custom Power Bank? 1.Send us material, Size, Color, Quantity to us, or send us sample or Pictures. 3, Static power consumption as low as 20 uA;4, Automatic identification of charging and discharging. 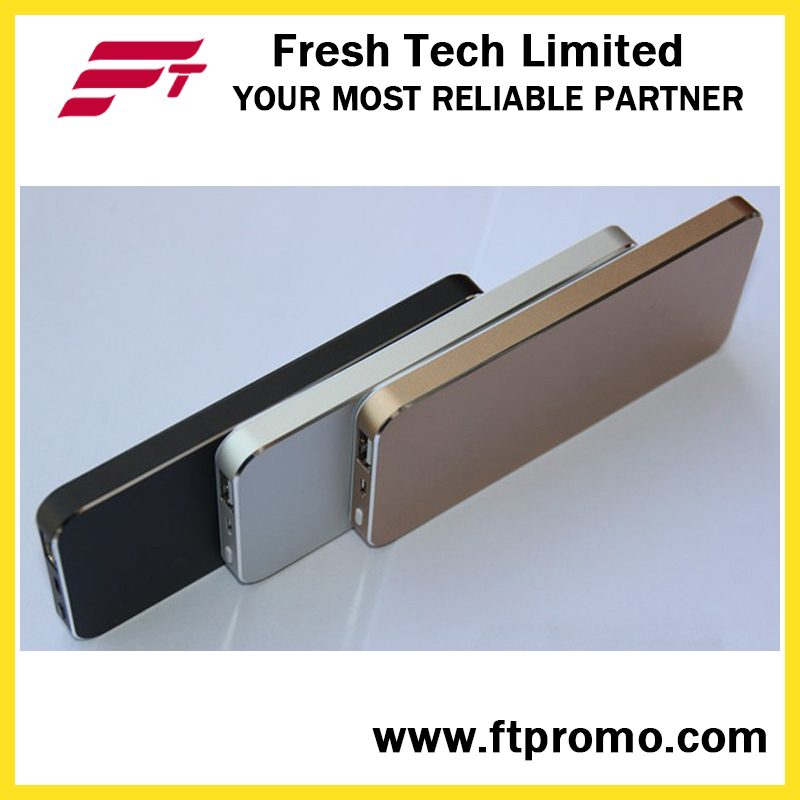 Fresh Tech is a professional audited company existing for over 6 years, we specialized in producing all kinds of promotional products, cooperate gifts and custom branded items. We provide ideas and solutions for your program and logo branding, at here, Custom OEM products are hightly accepted.We have superior and unrivalled knowledge and experience of the promotional products industry, this enable us to fulfill our fulfil our clients' needs by providing them product consultant, logo branding solution and ideas, price quoting, We have a wide range of promotional factories to work with, this helps us to provide you a great choices of high quality product in a low price range. 1) We have very strong product knowledge and experiences. We have the great ability and power to ensure your order is in safe production and shipping. And they are always reaching to your requirement standard. 2) Every custom order produced, we will have our own QC to check and inspect. This will ensure the product quality, logo branding, package, and arrange a safe shipping in local China. 3) Our great resources in different places and area help us to get the best possible price in the market, we could provide you a market best price with your target quality level. 4) With our great resources, we could meet a general lower ordering quantity in each of the promotional products than factories. This will greatly help you and your customer to take the unusual order process. 5) Our freight shipping partner are with over 15 years experiences in the international freight shipping industry, we could provide you shipping DDP to door by sea or by air, which you don't have to worry about shipping/custom clearance by yourself. Contact us if you need more details on Power Bank. We are ready to answer your questions on packaging, logistics, certification or any other aspects about Power Supply、Li-ion Battery. If these products fail to match your need, please contact us and we would like to provide relevant information. Copyright © 2019 www.cnpens.com All rights reserved.